My research, teaching, and community activism focus on social justice and a desire to understand processes of social change. Trained as a feminist cultural anthropologist, I have conducted ethnographic fieldwork in Thailand on women’s activism and non-governmental organizations, and on transgender youth (Male Bodies, Women’s Souls, co-authored with Andrew Matzner), and in Hawai`i on the local food movement. My scholarly work also focuses on the practice and outcomes of innovative feminist, anti-racist, and contemplative pedagogies. Currently I am exploring the integration of contemplative practices and spirituality into social justice education and social movement activism. In my teaching I seek to nurture beloved community and to create a transformative learning environment where students feel empowered to think critically and self-reflexively, and where they are inspired to vision and create human flourishing and planetary justice. My research and teaching have been supported by grants and fellowships from the Fulbright Program, the Mellon, Teagle, and Luce Foundations, and the Virginia Foundation for Independent Colleges. Forthcoming 2018: Sabbatical as Sacred Time: Contemplative Practice and Meaning in the Neoliberal Academy. Journal of Contemplative Inquiry . "Power and Difference in Thai Women’s NGO Activism." In Theorizing NGOs: States, Feminisms, and Neoliberalism, Victoria Bernal and Inderpal Grewal, eds. Durham: Duke University Press, 2014. "Grassroots Woman Leader." In Figures of Southeast Asian Modernity, Joshua Barker, Erik Harms, and Johan Lindquist, eds. Honolulu: University of Hawai`i Press, 2013. Special Issue of Feminist Teacher on Critical Community Engagement. Co-edited with Karen J. Leong. 22(3). 2012. 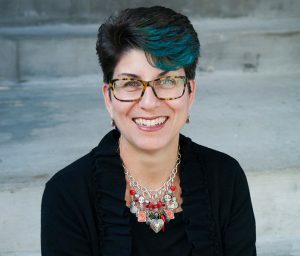 In 2018 Professor Costa launched the Hollins Contemplative Collective which seeks to cultivate the holistic well-being of faculty, staff, and students and to integrate into curricular and co-curricular life practices of mindfulness and healing that are embodied, inclusive, and both individually and collectively transformative. Costa is a 200-hour registered yoga teacher and 30-year student of yoga, and has completed mindfulness meditation training through the Greater Good Science Center at UC Berkeley. She has also participated in contemplative pedagogy training with the Center for Contemplative Mind in Society. She currently serves on the organizing committee for the 2019 conference on Contemplative Practices for 21st Century Education at James Madison University. In 2012 Professor Costa co-founded Girls Rock Roanoke, a nonprofit organization whose mission is to empower girls and women through music, creative expression, and collaboration. From 2014-2015 she served on the board of directors of the Girls Rock Camp Alliance, an international membership of youth-centered arts and social justice organizations. She has also held leadership positions in the National Women’s Studies Association, and the Southeastern Women’s Studies Association, and is a member of Omicron Delta Kappa, a national leadership honor society. From 2014-2017, Professor Costa was John P. Wheeler Professor of Gender and Women’s Studies. In 2010 she received the Herta P. Freitag Faculty Legacy Award, and in 2013 she received the Senior Class Faculty Award.